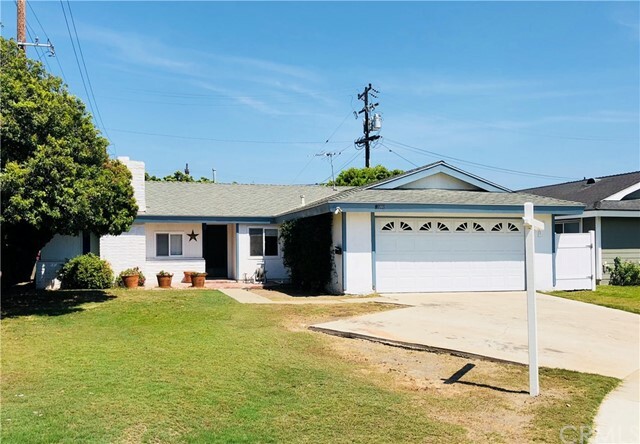 This single story, single family home is nestled in the heart of South Huntington Beach, walking distance to the ocean, and a bike ride to Pacific City and beautiful Downtown HB! Perfectly located at the end of a cul-de-sac, this charming home features 3 bedrooms, 2 bathrooms, 2 car attached garage, lovely fireplace, upgraded windows, newer furnace, and a remodeled master bathroom. Additionally, the home is uniquely situated on the lot so you have no neighbors on two sides! This home is a blank canvas, ready for a motivated family to put their touches on it to make it their own! A perfectly located beach home, ready for a young family to come in, take advantage of the beach life, and all the amazing schools in the district! The true definition of L3 living at its finest! Location, Luxury, Lifestyle! Based on information from California Regional Multiple Listing Service, Inc. as of October 12, 2018. This information is for your personal, non-commercial use and may not be used for any purpose other than to identify prospective properties you may be interested in purchasing. Display of MLS data is usually deemed reliable but is NOT guaranteed accurate by the MLS. Buyers are responsible for verifying the accuracy of all information and should investigate the data themselves or retain appropriate professionals. Information from sources other than the Listing Agent may have been included in the MLS data. Unless otherwise specified in writing, Broker/Agent has not and will not verify any information obtained from other sources. The Broker/Agent providing the information contained herein may or may not have been the Listing and/or Selling Agent.